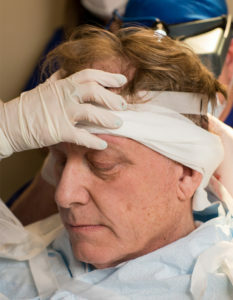 It’s possible to improve the cosmetic appearance of those who have had even the worst hair loss restoration procedure. A number of hair loss restoration surgeries we perform are used to correct the appearance of poorly executed hair transplants, old “hair plug” procedures and scalp reduction surgeries that were performed by other hair transplant surgeons. Repairing hair transplants can be achieved in a number of ways. It’s possible to remove plugs that were originally transplanted, dividing them into individual follicular units and re-transplanting them. For the best hair transplant result, surgeons can also add additional follicular units around plugged areas to improve the look and achieve a more natural appearance.